Located on the James River at the mouth of the Chickahominy River, this Williamsburg marina is nestled in a protected private harbor within the Two Rivers Country Club community at Governor’s Land. Our deep water harbor marina, a safe haven for boats up to 50 feet, can be reached via a private lighted channel off the James River. The marina is surrounded by homes reminiscent of a quaint coastal village from New England with lovely homes — some with a private slip right outside their back door. If you are traveling via water, the Williamsburg marina is approximately 4 miles west from Jamestown Island and accessed off the small craft channel (daymark #6). 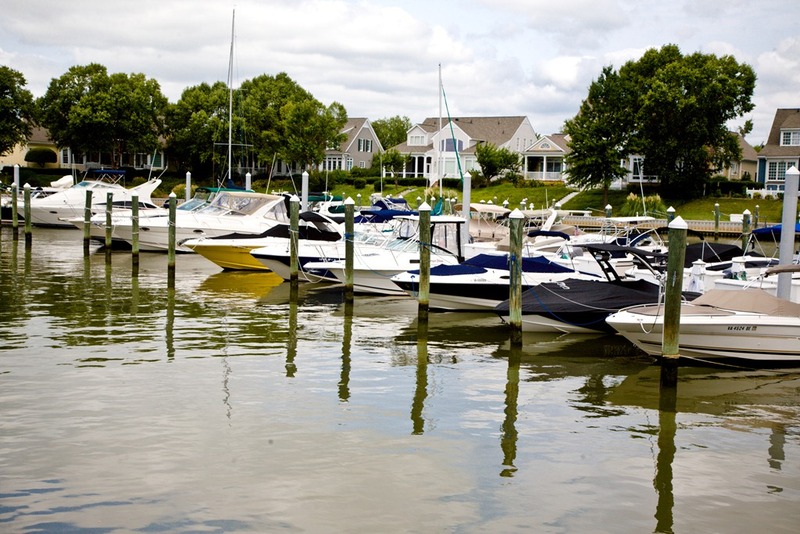 The marina offers easy access to the tranquil waters of the Chickahominy and the many historic locations along the James River. Non-residents of Governor’s Land community may become equity members of Two Rivers Country Club and the marina. We welcome non-residents to explore all of our marina membership options. Overnight boaters are also always welcome at the marina. Rates are $2. 75 per foot per night and advanced reservations are required. Overnight boaters can enjoy all the amenities of the Two Rivers Marina and Country Club including golf and dining.